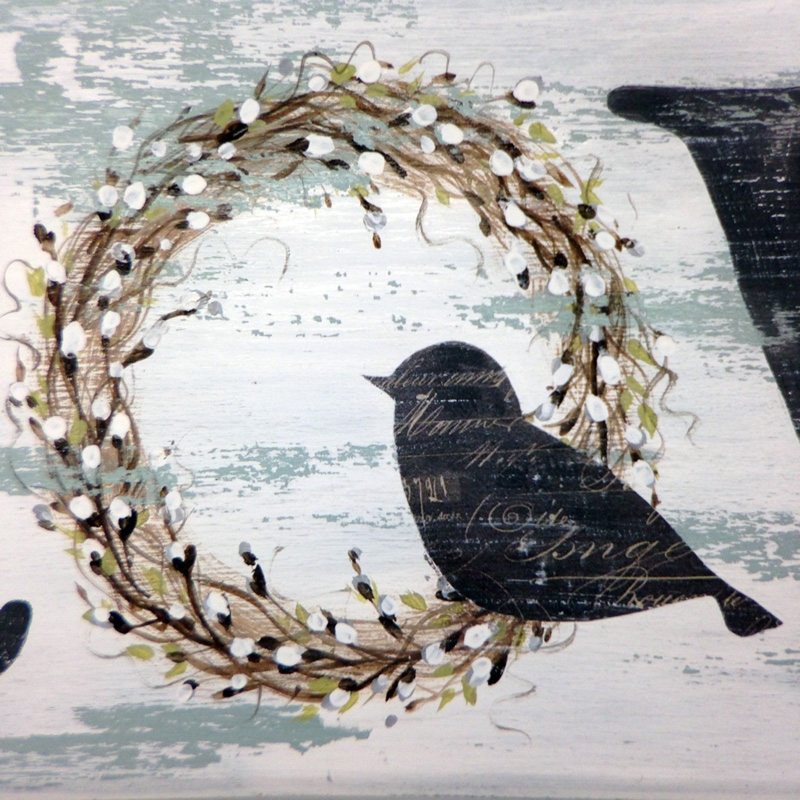 Chalky finish paints are used for a basecoat technique on this rustic spring signboard. The signboard is available from JB Wood Products at www.jbwood.com Item #0329; surface size is 6 in. high x 20 in. long. DecoArt acrylic paints and mediums are listed in the pattern packet. Several printed ephemera birds are also included for decoupage application. The packet features full-color, laser printed step-by-step instructions.